This Saturday night come on down to First Pres., Elizabethton for some old timey Square Dancing! It is part of our 225th anniversary. 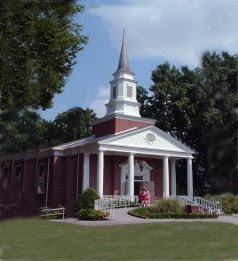 First Presbyterian of Elizabethton (225 years of swingin' yer partner). Jim and Cheri Miller. Sorry, couldn't find a pic of Cheri. Holston Presbytery's own Jim Kirkpatrick will be the caller. Nursery care will be provided as well as treats and plenty of water! It starts at seven p.m. so bring the whole family! You guys sure know how to throw down some fun.